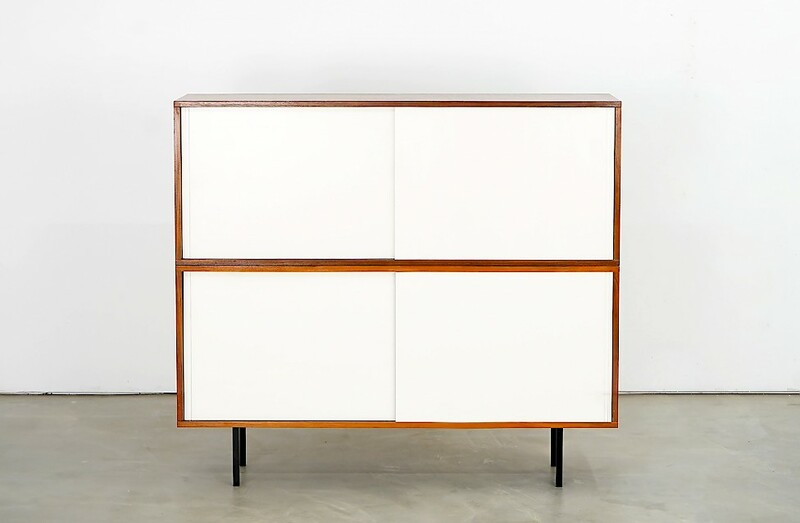 Helmut Magg designed this highboard in the 1960s. The manufacturer Deutsche Werkstätten made the piece out of nutwood. The body rests on a steel frame. The four doors of the highboard are painted white. Hidden behind these doors are shelves.